After a week at the Legal Tech show in Midtown Manhattan, which it’s fair to say was in a more traditional conference mould, what would Inspire.Legal, the new, super cool, un-conference at New York Law School in TriBeCa, with its range of un-panels be like…? Artificial Lawyer was invited along to the sell-out event and this is what went down, at least up until the end of lunch when I had to run to JFK. The first question you want answered is: what is an unconference? Was it really a break with the past? The short answer is: not exactly. It was basically people chatting about issues that relate to the adoption of legal tech, with some structure applied. I.e. it was a large-scale workshop. And that was fine, chatting through issues can be fun, although ironically there were several aspects that were like any other conference, e.g. there was a panel, there were quite a few cases of people with mics talking to the audience, and with a lot of great legal tech founders sitting around the law school tables, there was plenty of opportunity to hear from them too and how their solutions were part of the answer to the questions we were posed by the organisers. Groups were assigned questions to explore and in AL’s case this was initially: What is the role of lawyers in evaluating legal technology? Followed by an effort to explore the issues related to legal data. The questions were not new, but the approach, although not explicitly set out by the organisers, such as Christian Lang, now CSO of Reynen Court, seemed to be all about the introduction of a scientific methodology to legal innovation – which on the day was sold as ‘design’, ‘meeting challenges’ etc and other in vogue language. I.e. don’t just go at a hard task without preparation of the method you are going to use to solve it. Or…to put it another way, design your hypothesis and experiment before putting it all to the test. Of course, the beauty of science is that it doesn’t tell you what to do with this conclusion. That’s up to society. Maybe we don’t mind that conclusion? Maybe we do? If we do, then we need to create a new hypothesis to solve what has now been designated as a ‘problem’ – or if you prefer the new happy-clappy version ‘a challenge’. That’s the thing about science. It’s not always ‘solving a problem’. Sometimes science is used to, for example, find a new drug to cure a disease, but sometimes it’s wondering if a super black hole is really at the centre of a certain galaxy. Sometimes science is there just for knowledge’s sake…..which perhaps one day will contribute to solving a real world problem. 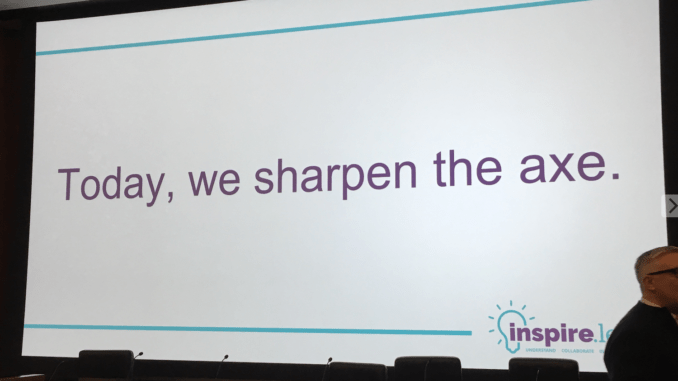 If Inspire.Legal was different from other events, it was because of one thing: the high level of audience participation and sharing of views – though one would expect that in a workshop. Below are some of the best lines AL heard. Now, you might say, but aren’t those nice things…? Rather like a basket of Golden Labrador puppies? The fact that people can get away with saying things like ’empathy is important’ – when it’s bloody obvious – and without having rotten tomatoes thrown at them and then dragged off stage, is perhaps a sign of where we still are as a sector. Take the example of SAP and its awful invoicing software. Did SAP’s techies want to inflict harm on the world? Nope. Did they not even bother to test it? Nope – they certainly did test it. So how come it’s so awful to use? The answer, AL would guess, is that they simply didn’t test the usability enough when it came to the end users. Was this due to a lack of empathy..? Not really. It was a lack of thorough testing. I.e. it was a failure of the scientific method. They’d not fully formulated the problem they were trying to solve. Applied solutions – repackage our institutional KM and sell it to the clients. Who are the enemies and frenemies of the solution you have proposed? There is a disconnect between what associates want and what the partners want. Associates want good work, the partners want the associates to log hours. We need to do anthropology – to study the lawyers’ behaviour. Bas Boris Visser (CC) – collaborative discussions are needed to take things forward. Now we are prepared to fail and that will drive a more strategic way of thinking. Super star audience member – Look, Legal Week (the event) has been going for 20 years in NY and only now everyone (i.e. lawyers) is so interested in legal tech. It’s because ALSPs are starting to take money from law firms,………They are moving up the value chain. ROI? – how do we measure this……..as we do not really measure (how lawyers produce work) now….how can you say there are any improvements? 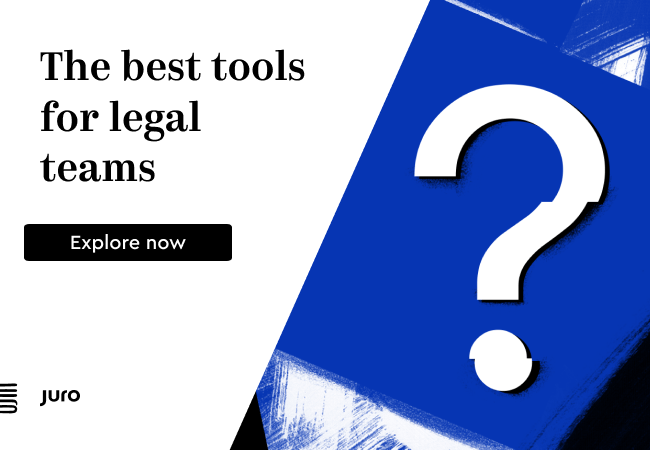 Fundamentally this is all about following the flow of the information through the law firm – each gateway has to be a decision made or the start of a new process. Oh….and one last insight….everyone I met in the US says ‘legal tech’…not ‘law tech’ – which seems to be a British eccentricity. 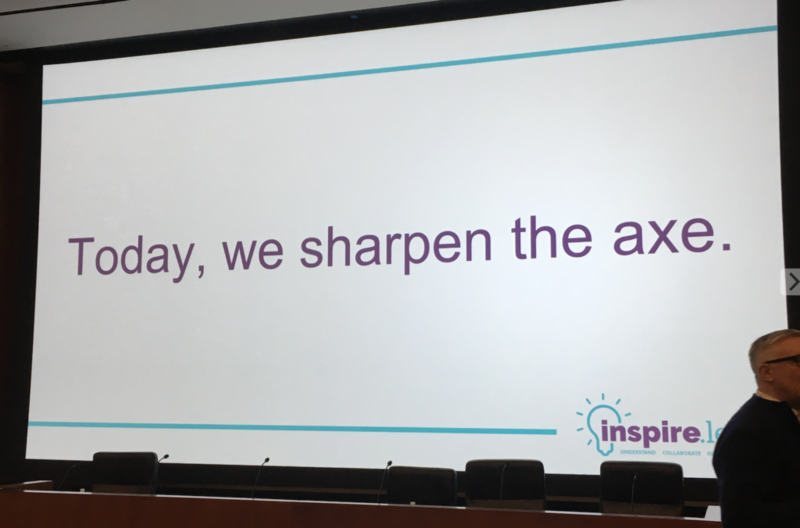 Was Inspire.Legal a wholly new type of event? No. But, it was a very good workshop and certainly law firms and inhouse legal teams should be holding this kind of event internally, and at a smaller scale, on a regular basis. So, congrats to Lang and team on a successful project. Did this change anything in terms of how AL saw innovation? Not radically. But, it did help to concentrate thinking around scientific principles and that has been a very positive outcome. One might say it didn’t change things, so much as bring the challenges we all face into sharper focus. And that’s got to be a good thing.